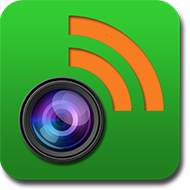 PhotoVerse collects photography related news and blog posts like any RSS reader, and makes it handy for anybody interested in photography to keep up on their reading while also allowing them to share the articles on social media networks. In essence, it’s a preloaded feed reader just for the photography nuts. The developers also asked me if I would like to test out the application… but I’m on Android, so no luck. Instead, I asked if you guys could have some freebies or discounts. Here’s what we have to hand out. I have 5 coupon codes for a free copy of the app. It goes for $0.99 in the iTunes store, so you can go buy it if you don’t want to wait for the raffle. If you do want a free copy, watch the Epic Edits Twitter account for the start of the raffle. I’ll do it within the day, and the first 5 to reply will get the coupon. Anybody out there have this app already? How is it? This entry was posted in Quick-Tip and tagged app, application, free, giveaway, ipad, iphone, photography, photoverse on January 12, 2011 by Brian Auer. If you have an iPhone, you should check out these lists of photography applications. This stuff is beyond typical macro — we’re talking full frame portraits of bugs! Want to get a TLR with a funky attitude? Check out these toy TLRs — plastic is fantastic! Wanna Free Trip To Visit Chase Jarvis In Seattle? As an extension to his new book and iPhone app, Chase is giving out some signed books and a free trip to Seattle! Check out how you can enter. From snow-white sandy beaches and red deserts to lush tropical rain forests and immense waterfalls, Australia has some amazing locations. With the 2nd round of this project, Jim encourages us to purchase and/or trade prints with other photographers — definitely a great idea! Do you need more space for your photos? If so, plead your case to Photodoto and you’ll be entered for a chance to win an HP MediaSmart server plus 1TB of storage! This one is pretty self-explanatory… lots of photos from above. Just in case you needed that extra bit of motivation to get down there some day, check out these incredible shots of what New Zealand has to offer us photographers. Amazing color photos from an era dominated by black and white. 6 great photos showcased on the Flickr blog. Editing your photos for microstock is a little bit different than normal editing. Here are some tips to consider when editing your images for microstock. This entry was posted in Roundup and tagged aerial, australia, color, Film, free, hp, iphone, macro, microstock, Minimalism, New Zealand, News, photography, print, project, Roundup, russia, stock, tlr on October 24, 2009 by Brian Auer. You may have heard the saying “The Best Camera Is The One That’s With You” at some point in your photographic adventures. I don’t know who coined the phrase, but I do know who is re-popularizing it: Chase Jarvis. And how is he doing it? With is phone, of course! So Chase created TheBestCamera.com as a central hub for this whole thing. It’s a place for people to share their photos created using the iPhone app. The application looks really cool, and I’d expect nothing less from somebody like Chase. I’m only disappointed with two things: 1) No iPhone for Verizon customers, and 2) No awesome photo applications for Pocket PC phones. But, neither of those things are Chase’s fault, so I’ll just keep my frustrations bottled up for the time being. But even though I can’t use the app, I still plan on buying the book that goes along with all of this. 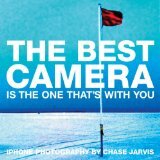 Chase put together a photo book of his iPhone images and it looks fantastic from what I can tell! The Best Camera Is The One That’s With You is 256 pages of lo-fi inspiration. If you’ve seen Chase’s iPhone work in the past, you know what to expect. If you haven’t… well, go take a look. You could almost convince yourself that these were taken with a toy film camera and they fit right in with the Lomography vision. The website, the iPhone app, and the book are all quite impressive accomplishments for Chase. But I think he’s doing something much greater: Chase Jarvis is steering the direction of modern photography (at least one branch of it), and he’s driving it with his enthusiasm for art. He’s making the point that great photos can come from any camera and that having your camera in your pocket at all times is more important than having the most powerful gear on the market. And all of this started because he decided to start taking photos with his iPhone every day — in other words, a personal project of his that turned out to be much more (and on a related side note, our latest PhotoNetCast episode is on the topic of photography projects). The concepts of using lo-fi equipment, shooting often, taking your camera with you everywhere, shooting from the hip, capturing every day life, and just getting the shot are not new concepts. Just look at the cult following of Lomography. Chase is taking these same concepts and modernizing them. Instead of shooting with a Holga or Diana, he’s shooting with an iPhone — not exactly the best cameras on the market. In both cases, the images produced are not technically outstanding, but they do have a certain artistic quality that can’t be found elsewhere. This entry was posted in Equipment, Inspirational, Quick-Tip and tagged art, book, foto, iphone, photo, photography on September 22, 2009 by Brian Auer. Wow… this last week has been really crazy with activity on the Internet. I guess everybody got back into the swing of things after the holidays. So here’s a small selection of things going on. And Happy New Year too! For you iPhone users, Chase Jarvis put together a great set of tips for getting the most out of your camera. A nice collection of time-lapse videos that focus on the sky and the heavenly bodies. If you’re looking for more photography websites to check out and follow, here’s a pretty good list to check out. Our friend, Jim Talkington, shares some good news and some bad news for the new year. Good news is that he’ll be focusing more attention on his personal photography and sharing via a photoblog. Bad news is that he won’t have much time for Pro Photo Life. We’ll miss the frequent updates, Jim. Looking to challenge yourself in 2009? PhotoChallenge.org will be announcing a new photographic subject each and every day of the year. If you feel like joining in, just shoot the subject and post the photo on the web. These guys are still hosting monthly challenges in addition to their yearly challenge. January is all about self portraits. A big collection of tips and tutorials covering useful modes and settings on your camera, basic camera techniques, camera care, and composition. If you’ve ever struggled with spatial relationships or had a hard time grasping the distortion differences between telephoto and wide angle lenses, check out this simple explanation. I’ve had my share of bad experiences with buying cameras on eBay, and these tips are definitely good advice. Did you take photos in 2008? If so, participate in this project and share your best work with other photographers in the community. This entry was posted in Roundup and tagged challenge, ebay, iphone, links, News, photography, project, Roundup, video on January 3, 2009 by Brian Auer.